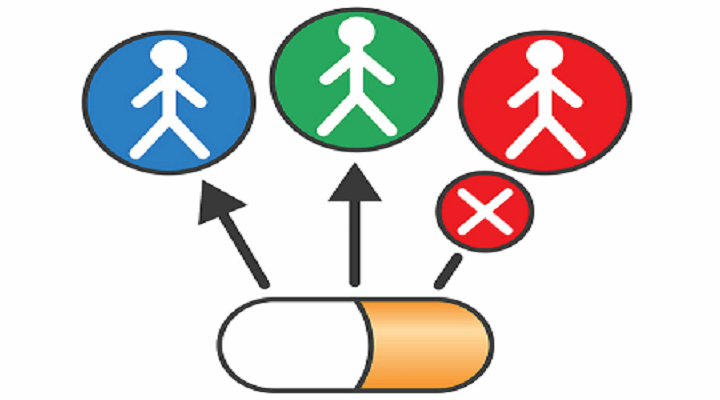 According to study, “Global Companion Diagnostics Market- Technologies, Market share and Industry Forecast to 2024” the major companies that are currently operating in the global companion diagnostics market are F. Hoffmann La Roche AG,Agilent Technologies, Inc.,Qiagen N.V.,Thermo Fisher Scientific Inc.,Abbott Laboratories Inc.,Myriad Genetics Inc.,Danaher Corporation, Protagen Diagnostics, Amgen, AbbVie Inc., Acumen Pharmaceuticals, Inc., Celldex Therapeutics, Inc., OvaGene Oncology Inc., Oxford Cancer Biomarkers Ltd., Clovis Oncology, Inc., Eli Lilly, Adaptimmune Therapeutics plcAlmac Group,Sysmex Corporation, Genomic Health Inc., Ventana Medical Systems Inc., Leica BiosystemsNussloch GmbH, BioMerieux SA, GE Healthcare Ltd.,Life Technologies Corporation, Illumina Inc.,Arup Laboratories Inc.
A companion diagnostic is a diagnostic test, which is used as a companion to a therapeutic drug to establish applicability to a particular person. It is also known as pharmacogenetic tests, which is developed based on companion biomarkers.Itprospectively helps predict likely response or severe toxicity. These are in vitro clinical laboratory assays, which is designed to predict the efficacy of a targeted cancer therapy through assessment of one or more biomarkers for defining a drug (effective and non-effective). Some of the major sources of funding for companion diagnostics arethe corporate debt, venture capital, follow-on public offerings of equity, initial public offerings of equity and corporate spinoffs, which includesboth public and private sources. On the basis of the indication, global companion diagnostics market is segmented into cardiovascular conditions, oncology, inflammation, central nervous system indicationsand virology. On the basis of technology, market is segmented into in-situ hybridization, immune-histo-chemistry,next-generation sequencing, polymerase chain reaction and molecular diagnostics. Molecular diagnostics is the highest growing and maximum revenue generator product & service segment consist of reagents, assay kits and software & services On the basis of disease, the market is segmented into colorectal cancer, gastric cancer, genital cancer, melanoma cancer, breast cancer and lung cancer. On the basis of product & services, the market is segmented into reagents,assay kits and software & services. On the basis of end user, the market is segmented into reference laboratories and pharmaceutical & biopharmaceutical companies. The market has witnessed significantrise due to the increase in patient base for infectious diseases & cancer globally, growing demand for companion diagnostics, high adoption of companion diagnostics and emerging applications of companion diagnostics. Some of the other keydriving factors are rising cancer incidence across the globe, improved regulatory guidelines, need for targeted therapies, increasing collaborations and partnerships for test development.Apart from drivers some of the major challenges are lack of awareness,lack of skilled professionals and logistic issues have increasedsignificantly in order to develop drug and companion diagnostics together. In addition, some drugs therapies are Camptosar, Gleevec, Herceptin, Erbitux, Iressa, Keytruda,Lynparza, Mekinist, Rubraca, Tagrisso, Tarceva, Venclexta, Xalkori, Zelboraf, Purinethol and Nolvaldex. North American region holds the largest share in companion diagnostics market, due to the technological advancement. The Asia Pacific market is expected to grow at the high CAGR between 2017 and 2024. The primary forces driving growth of the market are the growing prevalence diseases like cancer and neurology diseases, increasing number of hospitals and diagnostics laboratories created huge opportunity.The global companion diagnostics market is expected to grow at a CAGR of over 20.1% during the period of 2017-2024. Moreover, the closely associated pharmacodiagnostics IVD (in vitro diagnostic device) market is expected to grow annually by 20%.